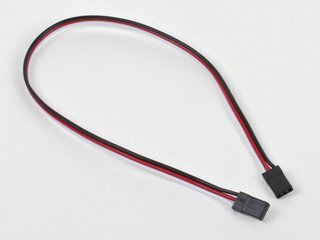 This 36" cable has Futaba, or "J" type connectors. 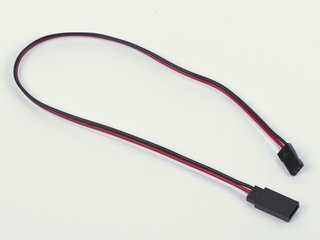 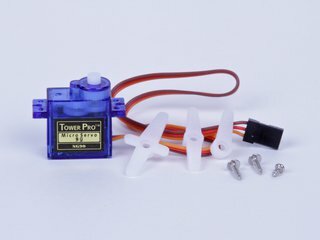 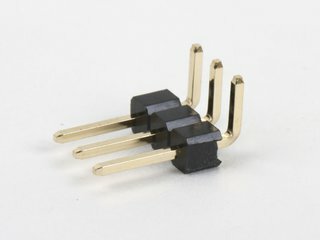 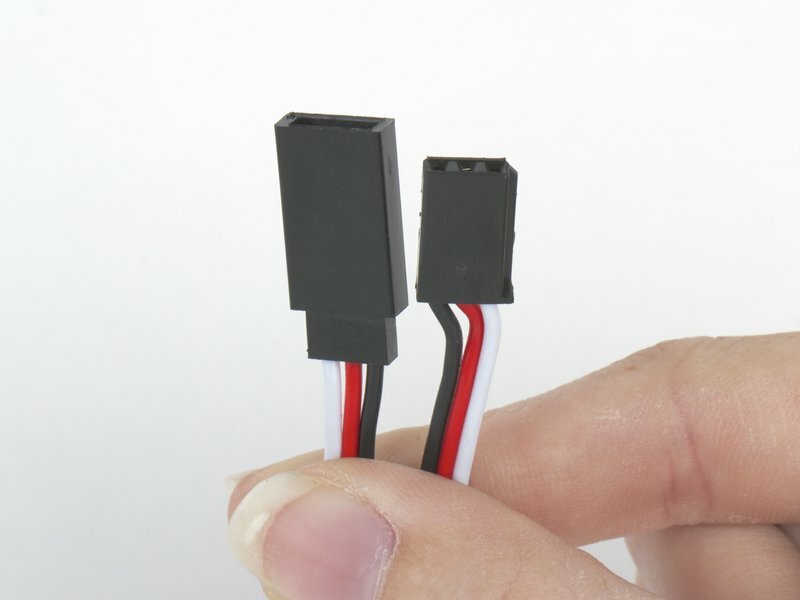 The female connector fits nicely with 0.1" male headers, but is often referred to as "male" in the RC hobby industry. 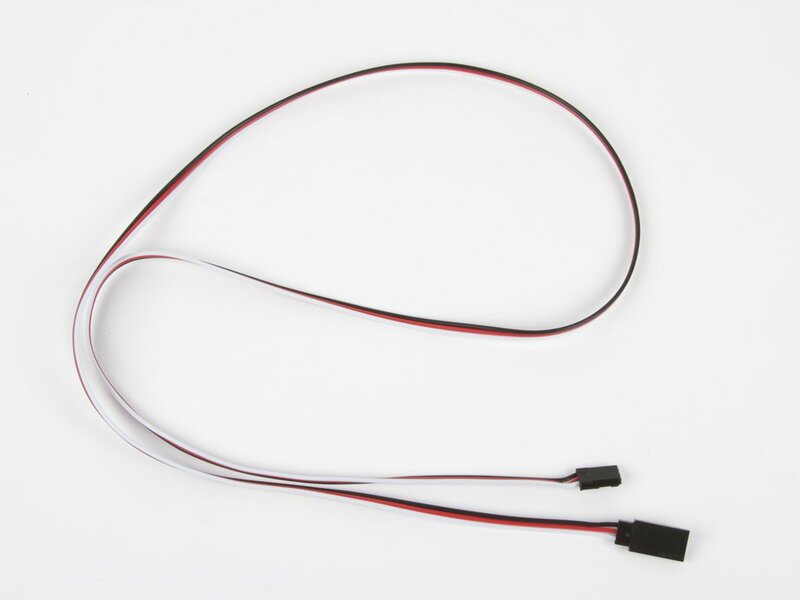 Likewise, the cable's male J connector is often referred to as "female" in the hobby industry because of the outer shroud, even though it internally consists of three male pins. 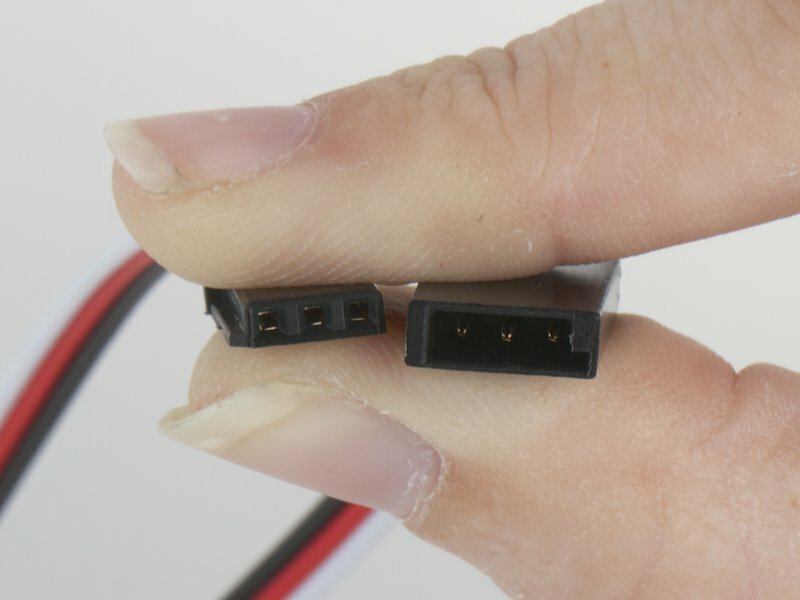 The tabbed connector on the female end indexes into the slotted side on the male end, but the tab can be clipped off to fit with "JR" type connectors if needed.